Transport wine without losing its cool. This 2-bottle neoprene wine tote bag is a stylish solution to Bring-Your-Own, in a fashionable black messenger bag style with The Wine Enthusiast logo silk screened in white. Nearly weightless, the neoprene 2 bottle wine tote uses the same material for wet suits to insulate your wine bottles at cellar or fridge temperatures without clinking or shattering. Large exterior pocket allows you to hold a pocket wine journal or wine passport. 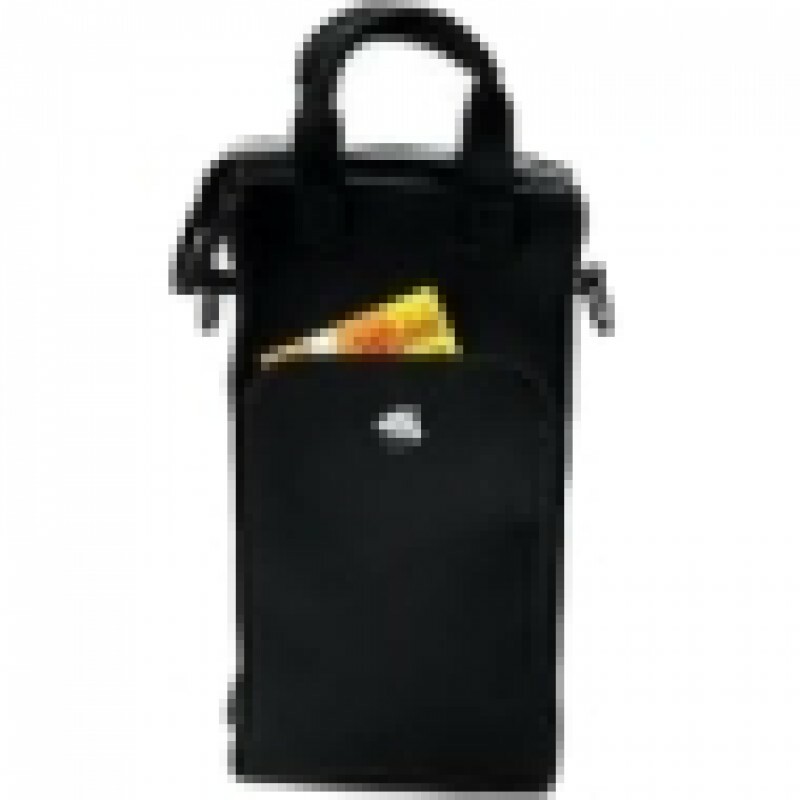 Features adjustable and detachable shoulder strap, padded carrying handles and 2 gel packs. Black only.